Thirteen years of art practice has culminated with this first solo exhibition. 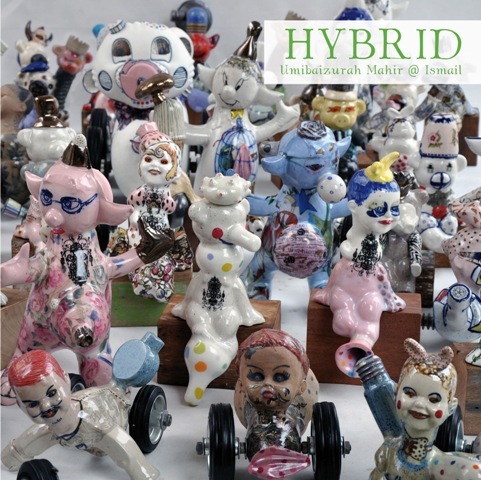 Highly significant in the contemporary context, Umi baizurah Mahir or Umi(as she is known) boldly ventures beyond the well accepted practices of three-dimensional play. The clay medium has become a tool, wedged, kneaded and shaped to become exquisite pieces of contemporary art. Umi’s choice of materials include coloured clay, which has been intensively studied and developed.